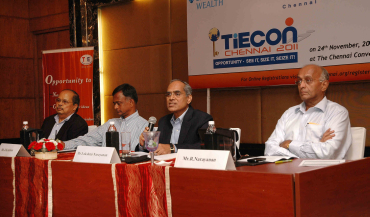 The fourth edition of TiE Chennai's TiECON, Chennai 2011 will be held on November 24. It is said to be the largest entrepreneurial event in India. With its theme as "Opportunity - See it, Size it, Seize it!, the focus will be on identifying and showcasing entrepreneurial innovations. Some of the speakers at the event include well known entrepreneurs like Kiran Mazumdar Shaw, Mahadevan and Ashok Soota. The conference includes programmes such as 'Opportunities on the road less travelled', 'Opportunities to get awestruck', 'Lightning Buzz', etc. 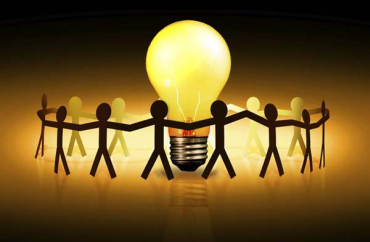 which provide a platform for emerging entrepreneurs to showcase new innovations. 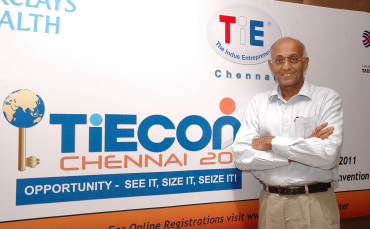 R Narayanan, 65-year-old, alumni of IIM-C, is an entrepreneur himself and is the Chairman of TiECon 2011. In an interview, he gives us insight into the event. This is the 4th edition of TiE Con. How successful were the earlier three editions? Could you show how many entrepreneurs were born or benefited? I don't think we are in a position to quantify that. If you look at the number of delegates attending the event every year, it has been increasing tremendously. That itself is a sign of success for TiECon. Is the number of entrepreneurs increasing in India over the years? You asked the right person. I used to work for various Indian companies and multinationals till I became an entrepreneur 30 years ago. Image: R Narayanan, alumni of IIM-C. The environment for entrepreneurship has been extremely friendly over the last 30 years. There is a far greater interest in entrepreneurship among the youth. Entrepreneurship also has more respectability now which it did not have 30-35 years ago. People are willing to take risks today. Such conditions have been created by the ecosystem. TiE, for example is responsible for creating an environment for entrepreneurship to flourish. 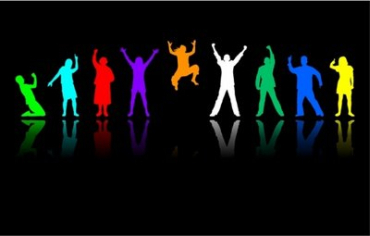 The theme of TiECon is "Opportunity - See it, Size it, Seize it!. You mean there are plenty of opportunities out there? I believe there are hundreds of opportunities out there but people are not able to see it. That is what the convention is all about. Experienced entrepreneurs will talk about the opportunities they saw and also what the atmosphere is right now. It is a question of seeing it, sizing it and then seizing it. To succeed, implementation has to be good in a competitive market place. Recently when I interviewed a successful entrepreneur, he said, only five per cent of those who take risks succeed finally. Do you agree with this? I believe that is the generally accepted statistics. But I want to point out that 50 per cent of the employment in India is in the tertiary sector and entrepreneurship abounds in India. Image: There are hundreds of opportunities out there, he says. The government has not provided us that great a platform for entrepreneurship to flourish. So, despite the government, people have managed to move to entrepreneurship, be it in the retail trade or otherwise. Entrepreneurs are one of the biggest assets in this country. If you were to give the statistics to youngsters that only five per cent succeed, do you think budding entrepreneurs will get scared? If you were to give the statistics in isolation, yes, I think a lot of entrepreneurs will get scared. That says your chances of success is only 1 in 20, which is not true actually. You said despite the government, entrepreneurs are succeeding in India. Why then do you think it is necessary for the government to create a better ecosystem? It is good if they are succeeding despite the government. A child may understand science without going to school but if you were to send him to school, he might understand it much better. It is as simple as that. Are mentoring, angel funding, etc, also as important? Yes, they are and it is part of the ecosystem that we at TiE are creating. Image: Entrepreneurs are one of the biggest assets in this country. This year TiECon is concentrating on the auto sector, healthcare and food industries. In what way are you going to project these sectors? We will have sessions that will focus on auto, healthcare and food, and people from all the three industries will speak on the opportunities available in these areas. It is to show them the opportunities so that they can see it and seize it. Any particular reason why you chose these sectors? We do not want to give the impression that TiE is IT centric. Because TiE originated in Silicon Valley, our focus was more on the IT sector. Now we have decided to broad base the verticals we address. The auto industry today manufacture close to half a million vehicles a year. We are 11th in the world. 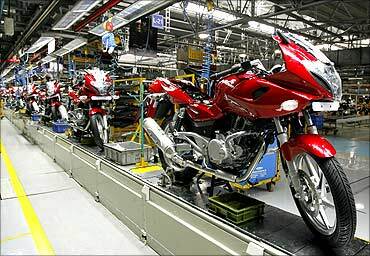 Arguably, we are number two in two wheeler manufacturing two million vehicles a year. There are around 100 million two wheelers on the road today. If I were to take the life of a two wheeler as eight years, and if I were to assume all these people will become car owners in 10 years' time, then India will be manufacturing 10 million cars a year in 10 years' time. See the opportunities you are seeing in the sector. Healthcare and food are also growing industries and food sector is never exploited in India. So, we feel these sectors provide unique opportunities for entrepreneurs in both small scale and large scale. Image: We have decided to broad base the verticals we address, says Narayanan. What do you expect out of TiECon this year? This year's event will celebrate the spirit of innovation among entrepreneurs. Over 1500 entrepreneurs, business students and service providers are expected to attend the event that will dwell on opportunities in largely untapped sectors such as food, healthcare, agriculture, infrastructure, social sector, education, etc. The TiE Chennai Entrepreneur Awards will be presented in 10 categories including a Dronacharya award for mentoring, award for social entrepreneurs, entrepreneur of the year and lifetime achievement awards. I expect every person attending TiECOn to be an entrepreneur in some form or the other. Image: This year's event will celebrate the spirit of innovation, he says. James Bond's car fetches $4.6 million!